There are 17 Assisted Living Facilities in the League City area, with 5 in League City and 12 nearby. The average cost of assisted living in League City is $3,481 per month. This is higher than the national median of $3,346. Cheaper nearby regions include Alvin with an average starting cost of $2,400. To help you with your search, browse the 162 reviews below for assisted living facilities in League City. On average, consumers rate assisted living in League City 4.2 out of 5 stars. Better rated regions include Alvin with an average rating of 5.0 out of 5 stars. Caring.com has helped 7 families in League City find high-quality senior care. To speak with one of our Family Advisors about assisted living options and costs in League City, call (855) 863-8283. Located in the greater Houston metropolitan area, League City is well known for its beautiful waterfront and abundance of beautiful parks. Seniors living in this small city can enjoy everything that nature has to offer right at their doorstep. There are a total of 52 assisted living facilities in the League City area, with five right in League City and another 27 in surrounding communities such as Pearland, Houston and Pasadena. 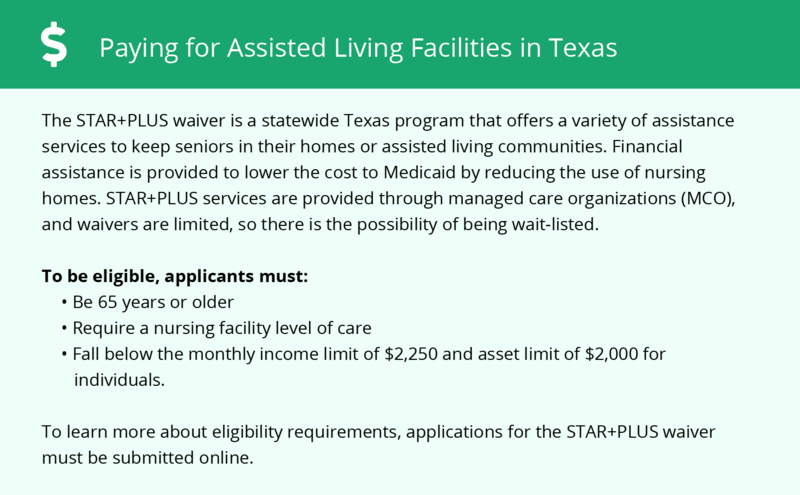 Texas Health and Human Services licenses and strictly regulates assisted living facilities throughout Texas. League City is home to world-class medical facilities, including UTMB Health League City Campus Hospital, in case of medical emergencies or illness. Weather in League City is hot and often very humid. The city receives an average of 56 inches of rain each year, which is 17 inches above the national average. In July, the average high temperature is 91 degrees, nearly 5 degrees higher than the U.S. average. Seniors who prefer a more comfortable climate may not enjoy the weather in League City. Seniors can feel safe living in League City. Crime rates are well below averages for both the Texas and the U.S. Residents have only a 1 in 1,229 chance of becoming a victim of a violent crime in League City, while the state average is 1 in 39. Although the overall cost of living in League City is 7.9 percent above the U.S. average, this can mostly be attributed to housing costs. Seniors will find savings on costs such as transportation and health care, which are both below the U.S. average. League City has an array of community resources for seniors, including the League City Parks and Recreation Department, an organization that provides senior class offerings that include yoga, ballroom dance and jazzercise, as well as two senior centers. League City has plenty of attractions and events that seniors may enjoy taking in. Some assisted living facilities may offer supervised day trips to some of these attractions such as Bayou Wildlife Park or Galveston Island. Assisted Living costs in League City start around $3,481 per month on average, while the nationwide average cost of assisted living is $4,000 per month, according to the latest figures from Genworth’s Cost of Care Survey. It’s important to note that assisted living rates in League City and the surrounding suburbs can vary widely based on factors such as location, the level of care needed, apartment size and the types of amenities offered at each community. 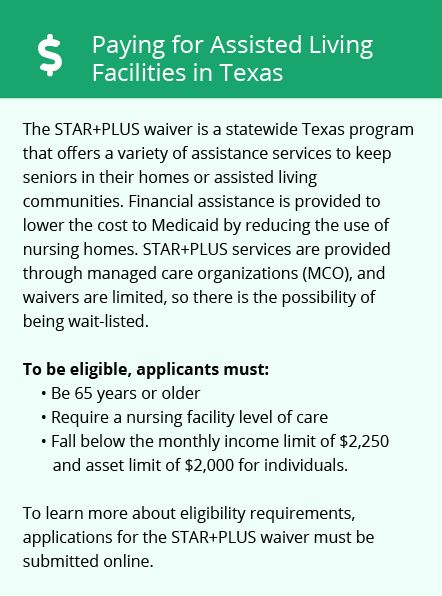 Eligible seniors residing in assisted living facilities can apply for financial support under the STAR+PLUS HCBS program, which operates under a Medicaid 1115 demonstration managed care waiver. This program pays for services provided by care facilities. Seniors must arrange to pay for room and board in assisted living facilities on their own; however, these rates are capped by the state for Medicaid-eligible seniors. The state of Texas does not offer an optional supplement to Supplemental Security Income. League City and the surrounding area are home to numerous government agencies and non-profit organizations offering help for seniors searching for or currently residing in an assisted living community. These organizations can also provide assistance in a number of other eldercare services such as geriatric care management, elder law advice, estate planning, finding home care and health and wellness programs. To see a list of free assisted living resources in League City, please visit our Assisted Living in Texas page. League City-area assisted living communities must adhere to the comprehensive set of state laws and regulations that all assisted living communities in Texas are required to follow. Visit our Assisted Living in Texas page for more information about these laws.